The highly modern Wildspitzbahn, which is the highest gondola lift in Austria, carries you quickly and comfortably up to the Hinterer Brunnenkogel at an elevation of 3440m and opens up skiable runs from September through May, which is why it is not surprising that the Pitztal Glacier is enormously popular during the early and late season, when skiing in the lower ski areas is not yet or just hardly possible. 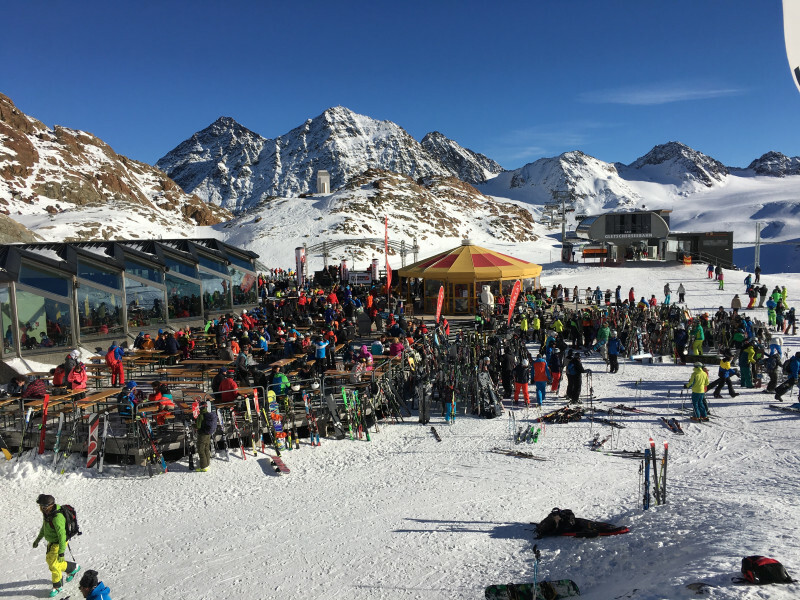 Nevertheless, the offering of the Pitztal Glacier goes beyond pure glacial slopes: The small but beautiful ski resort around Lake Rifflsee offers a classic winter ski resort. 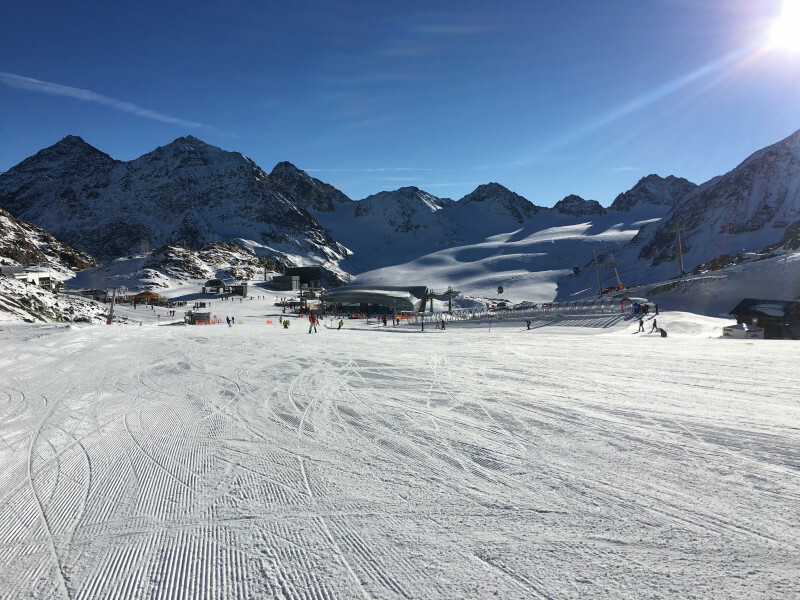 Depending on the weather, the skier is free to choose between runs with guaranteed snow on the glacier or the warmer Riflsee ski area. 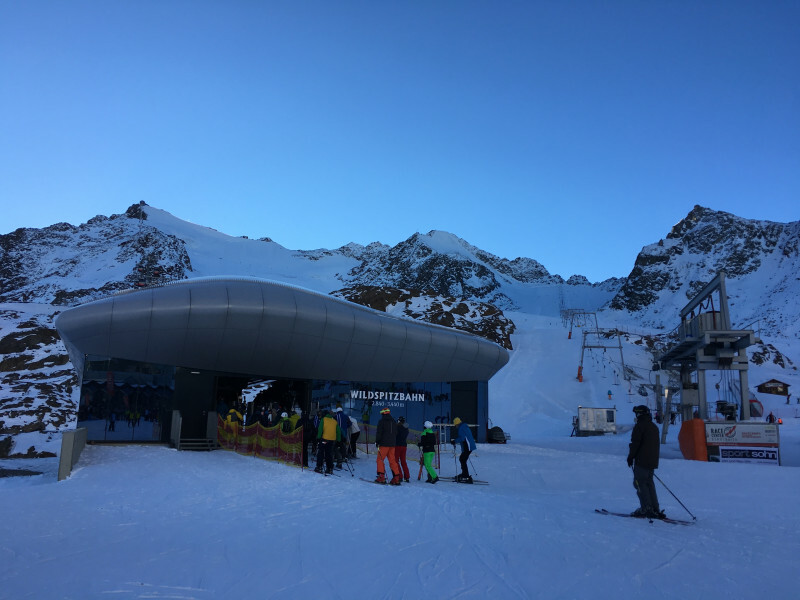 Still, there is one tiny drop of bitterness: The Glacier Express is the only shuttle service into the Glacier ski resort. With a transportation capacity of 1600 persons per hour, the train capacity is sometimes stretched to its limits, which may lead to some waiting time on weekends, during holidays and school vacations. 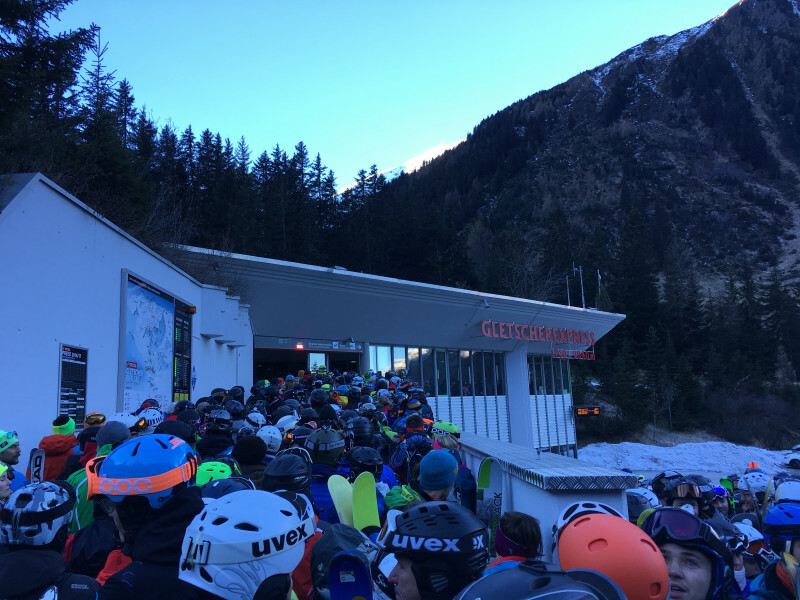 Due to the fact that the ride with the Glacier Express is the only way to get back to the valley, there can also be waiting lines in the afternoon.